Music is still where I am at with this policy change. I can’t begin to properly articulate how I feel. Music more fully expresses aspects of those emotions. This week I’d like to share Stephanie Mabey’s Glorious as arranged by Masa Fukuda and performed by the One Voice Children’s Choir. This song was first written and performed by Stephanie Mabey. It was used for EFY in 2012 performed by Russ Dixon, and then used as the theme for the movie Meet the Mormons performed by David Archuleta. Fukuda’s arrangement was created in just a few days as a competition entry for the One Voice Children’s Choir. His arrangement was performed beautifully recently by one of the house junior choirs in my children’s school house music competition. How can a tradition that can produce something so expansive and full of hope turn around and slam down the shutters? I feel like many people are asking us to move on, to address other topics, or saying that everything has been said. But I can’t bring myself to move on. It’s very much on my mind and continues to make my heart ache. Thank you for the video and the reminder of hope. You’re so right. Where can I turn for peace? For anyone who wants helping moving on, and loving, and forgiving, and sustaining, I recommend Matt. 10:40, John 13:20, D&C 84:36, and D&C 112:20. The Lord’s servants, the brethren, are good men. I feel the power of the Lord our Savior in these verses — there is a true principle there for those who are willing to receive it. I attended the dress rehearsal tonight for a choir festival to be held on Saturday — ten choirs, including one LDS choir, some church and some community, singing Christmas music in a LDS stake center — I’ll be the organist for the congregational singing. I love Christmas music. There is a power in music. Thanks for the video. ji, those references only compound the dissonance, they don’t help. I agree with you that there is power in music. I hope your choir festival was a big success. At the moment I am burying myself in music; very busy preparing for the upcoming school Christmas concert in the cathedral, enjoying rehearsals and particularly looking forward to playing trumpet with my daughter and other students in John Rutter’s arrangement of Ding Dong Merrily on High for brass, with the combined school choirs singing the carol. The audio of the One Voice recording is available for purchase via iTunes, and has been a favorite on our car playlist for the last few months. When the policy hit the headlines, many proposed attacking the MoTab (boycotts, petitions to guest artists, etc.) No. Period. No. Our music can remind us, warm us, unite us, guide us. Let’s not bite the hand that will feed us. I can’t emphasize how important music for the reasons you provided. 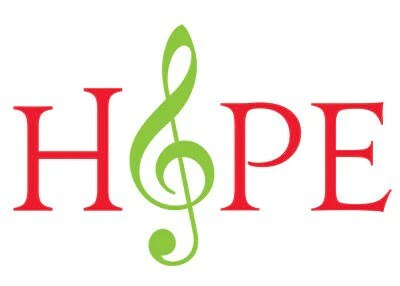 We need music more than ever at this time, the healing-glorious-hopeful music. Those who are hurting need it, those who lack sight need it, and those who are yearning need it. Whatever we do, let’s not destroy or chip away at our antidote. We’re going to need it. Naismith, it is one of those pieces that can take a lot of repetition. My daughter has been teasing me for playing it over and over on repeat when I’m working in the kitchen. For US folk there’s a flag comes up during the video that will take you to itunes. For other regions you’ll need to look it up – it is available for the UK.